It’s a very busy calendar for BLSA this walking season. 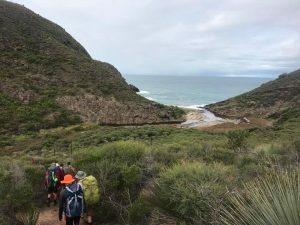 Staffed by experienced and accredited professionals, they continue to service a solid demand for training bush walking leaders across all levels in South Australia. Their programs have evolved over the years (since 1973!) to now include the flexibility of online learning components, while still providing quality training at an affordable price, ideal for completing on a part time basis. So if you, your students, or anyone else you know, are keen to expand their repertoire of skills, please get in touch. Due to high demand, they are running thei second Bushwalking Leadership Assistant Leadership Certificate (BLAC) course for 2017. The training workshops are on the weekends of the 24th/25th June, 14th-16th July and 29th/30th July. The cornerstone of the Program, the BLAC has gone through some neat updates to maintain currency and continue its alignment with the AAS Bushwalking and Camping Core standards / DECD recommendations. The majority of theory for this is delivered as an online learning component, making it much more manageable for teachers and other professionals. Dates: the weekends of the 24th/25th June, 14th-16th July and 29th/30th July. They have two Technical Skills Assessment Weekends running, 27 & 28 May & then 26 & 27 August. This weekend, for BLAC graduates, is an essential component of the interim training towards full Bushwalking Leader accreditation. And finally, they are pleased to announce they are running the Advanced Bushwalking Leadership Course, (formerly called General Mountain Training) on Sunday the 9th to Friday 14th July, 2017. 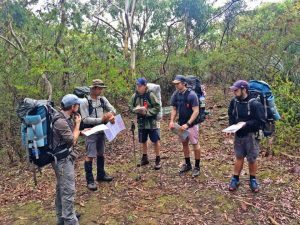 Conducted in the Mt Abrupt and Edeowie Gorge area, this practical training and assessment week is a great way to progress on after completing the Bushwalking Leadership Certificate. Now with an online learning component, this course is designed for those wishing to lead groups through difficult and off track environments in remote and arid areas of South Australia.